Start saving while your still young. Starting early will give you greater returns than starting late. Max out your 401k plan as much as possible. Companies often do match the amount that you want to contribute to your retirement plan because contributions are made from your earnings in the first place. Aside from employer-sponsored retirement plans, invest on opening an Individual Retirement Account. IRA’s provide tax incentives that’s why it’s the choice of many as part of their investment nest egg. Find the best IRA company to use. Don’t put all of the eggs in one nest. Diversify your funds so that if one investment fails to deliver the desired returns, the other investment would offset such. With this you can avoid the risk on losing it all. Open a high interest savings account. Have part of your monthly earnings directly deposited to your account so that little by little you are saving up without you knowing. Through this you eliminate the factor of cheating yourself on spending money from what should have been part of your savings. Last but not least, and probably the most effective way to secure a good life after retirement, is talking to a financial adviser. Being an expert, they can efficiently assess your situation and formulate a financial plan that is best for you. There are small investments that can give great returns. High return investment is associated with high risks but such can be avoided none the less. 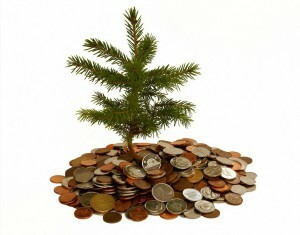 Investments on mutual funds, leverage funds, real estate and land are considered investments with high returns. No matter how small or how big your earnings are, putting money aside for the future is very important. With pensions as a thing of the past and with Social Security on unstable footing, it is very vital for a working individual to save and invest for his or her retirement. Introduction to investment may be very difficult, but there are various strategies that any worker can use in order set money aside and allow it to grow. You work hard to get money. Afterwards, let your money work hard for you that is how investments work.